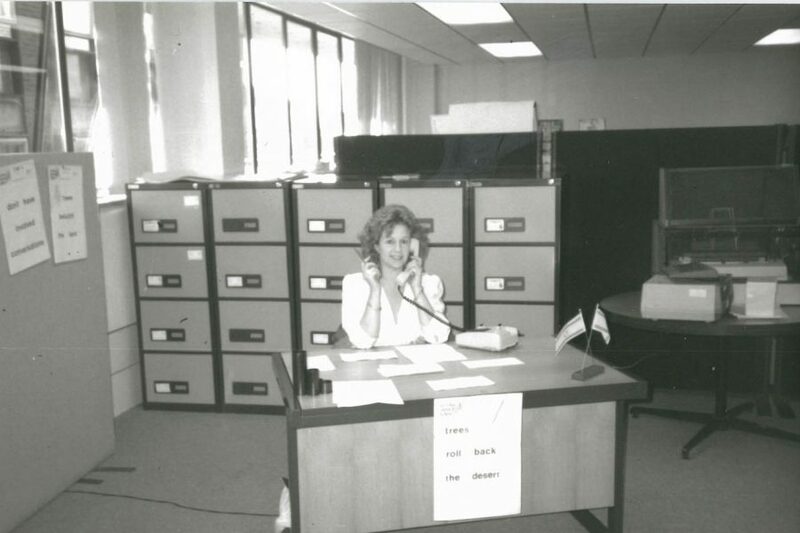 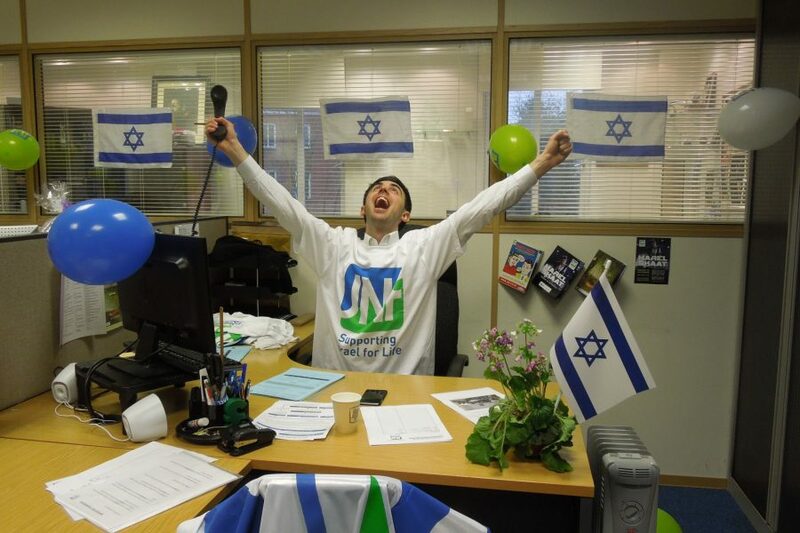 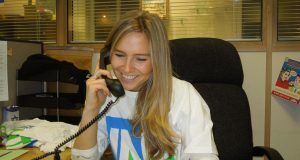 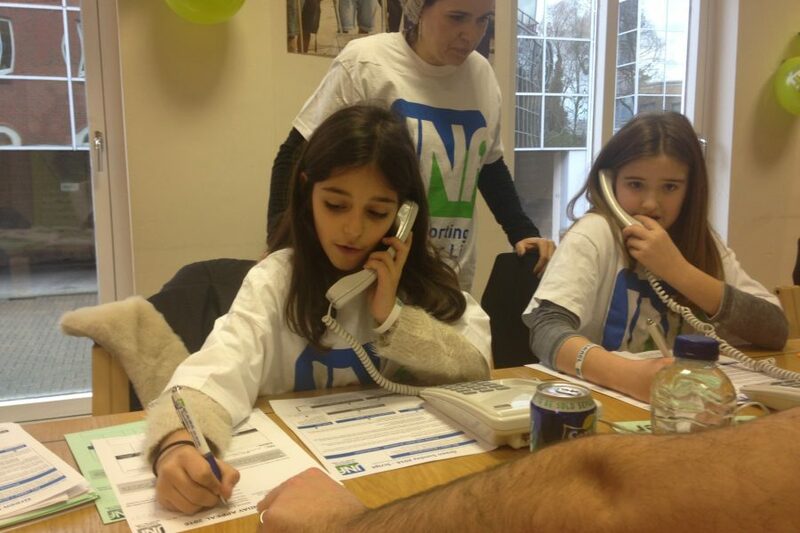 For over 30 years JNF UK has run Green Sunday – the UK’s first and biggest telethon raising funds for Israel. 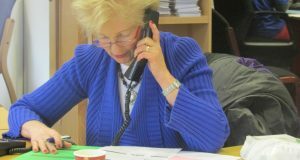 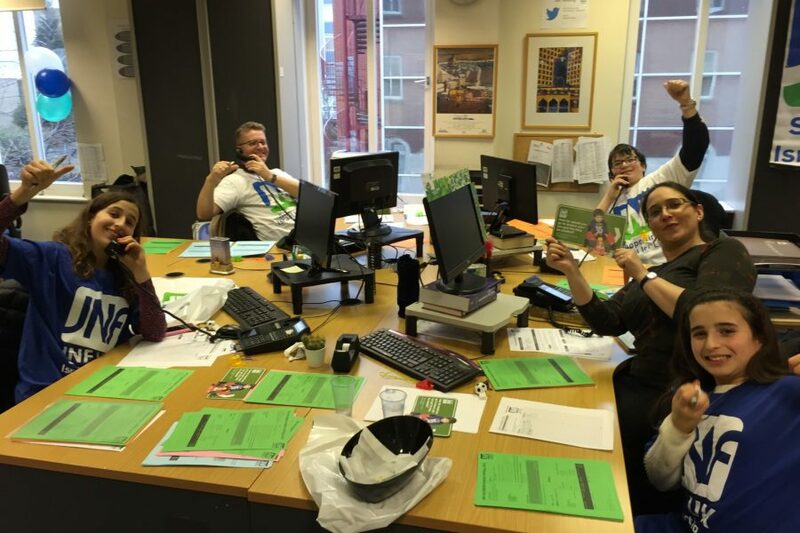 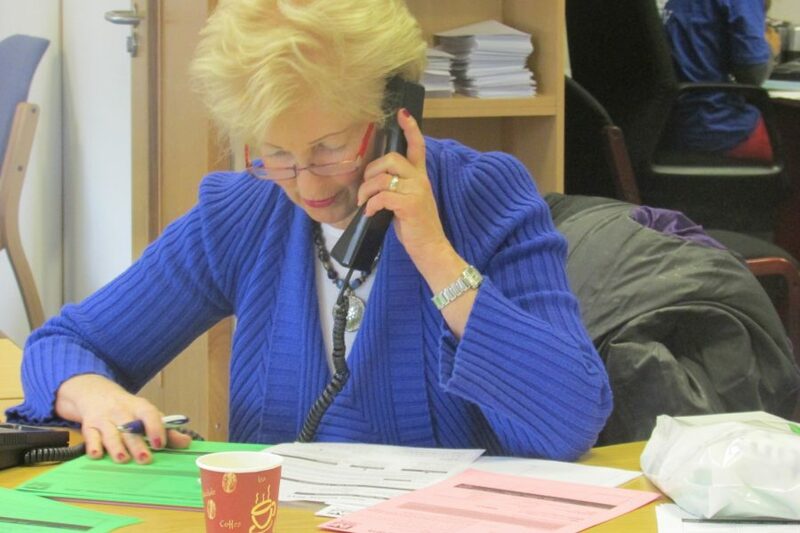 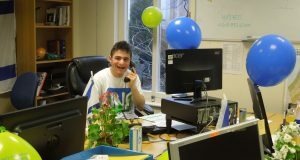 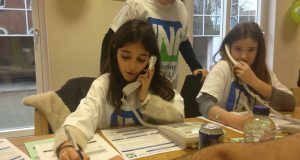 During Green Sunday, Israel supporters of all ages come together under one roof, and get on the phones to raise money for JNF UK projects in Israel. 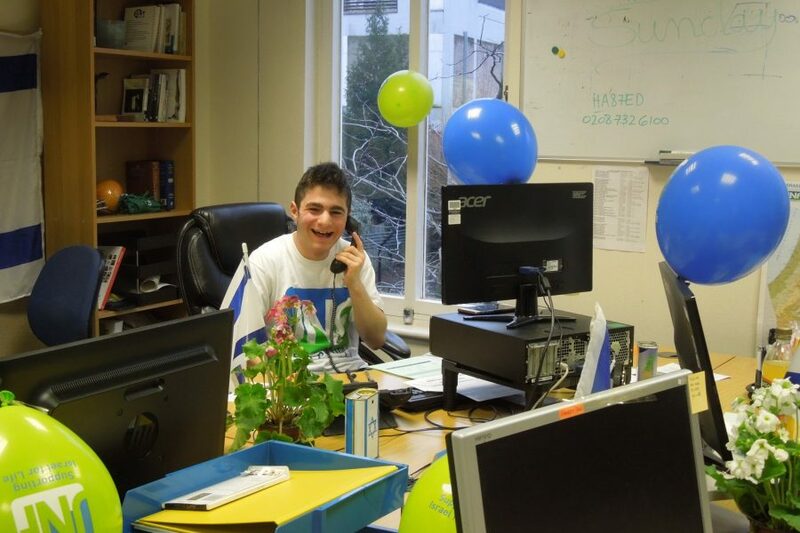 Our mammoth fundraiser, which takes place once a year has become synonymous within the Jewish Community, who during Green Sunday know that they should expect a call! 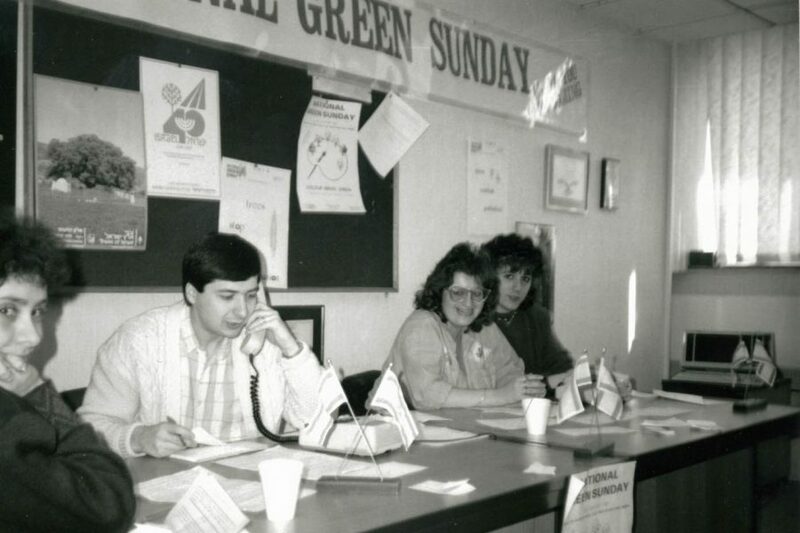 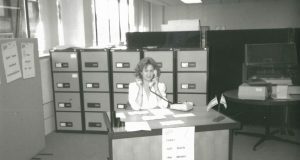 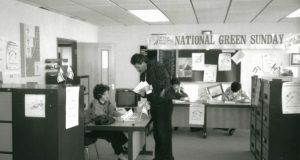 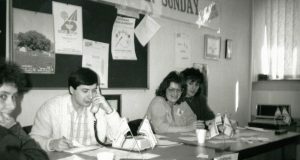 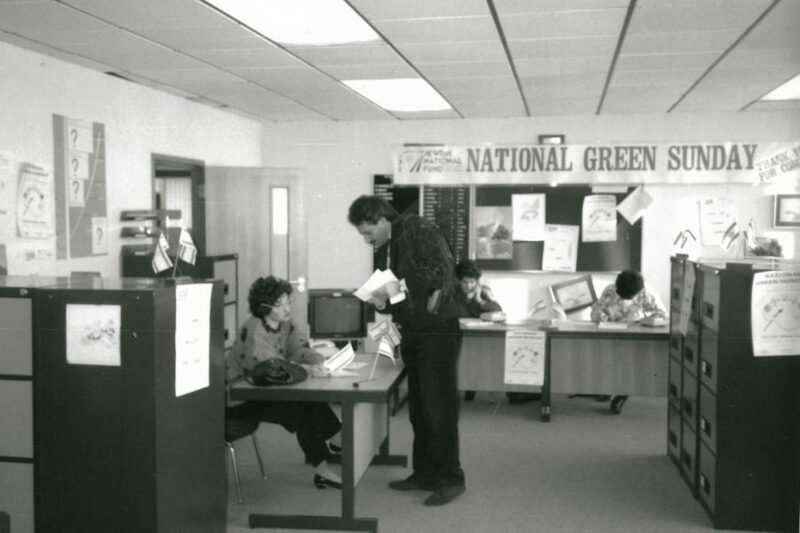 The iconic Green Sunday telethon was established in Manchester over thirty years ago. 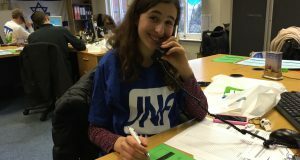 A JNF committee raising money to plant trees in Israel brought together volunteers from the community to make telephone calls during the Sunday closest to Tu Bishvat (the festival of trees). 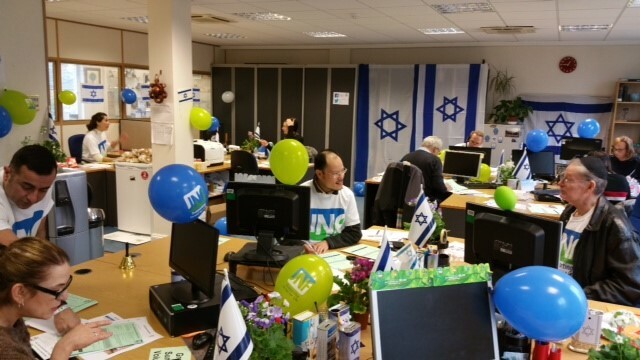 Decades later, Green Sunday is still going strong, though it’s not trees we’re raising money for — nowadays JNF UK raises funds for vital projects in the Negev which directly touch the lives of many thousands of people. 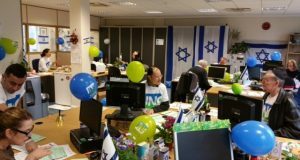 WHAT ARE WE RAISING MONEY FOR THIS YEAR? 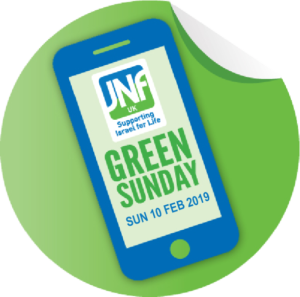 This Green Sunday is taking place on 10th February 2019 and JNF UK is raising money to support the vulnerable communities near the Gaza border to help them live normal and happy lives, despite the ongoing strife and suffering they face. 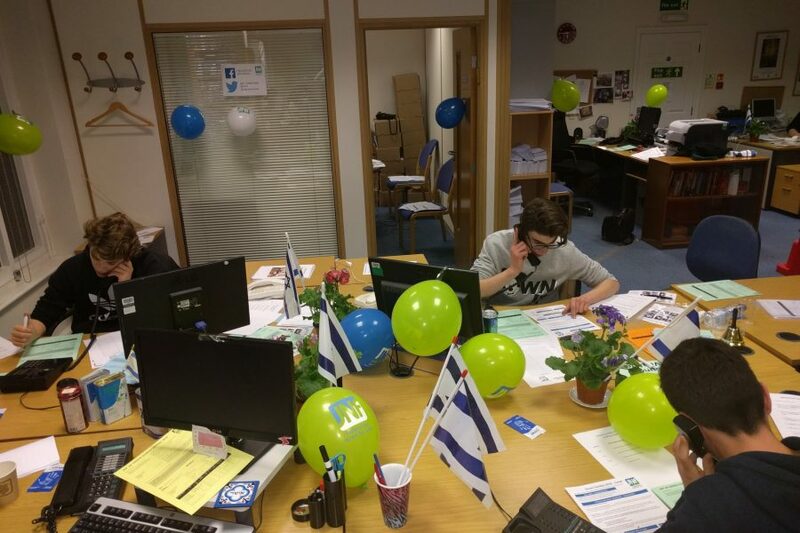 Recently JNF UK sent an army of 500 volunteers to boost one such community – Kibbutz Kerem Shalom, which was almost completely destroyed in 2008 following heavy shelling from Gaza and in recent months has faced incendiary kites and multiple rocket attacks. 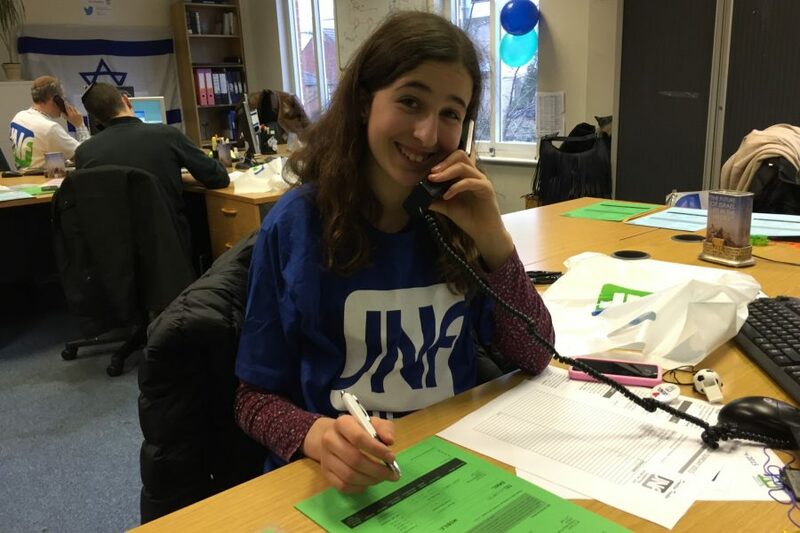 JNF UK’s volunteers brought hope, flowers and smiles into the kibbutz. 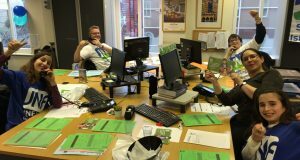 We are always looking for volunteers to help with Green Sunday. 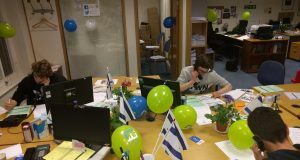 If you love Israel, have a great telephone manner, are passionate and enthusiastic, we would love you to join us. 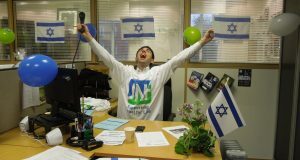 To register your interest call 020 8732 6100, email nicola.noah@jnf.co.uk or fill in your details below and we will be in touch.